Description: Calpain (calcium-dependent protease; EC 3.4.22.17) is an intracellular protease that requires calcium for its catalytic activity. Two isozymes, calpain I (mu-calpain) and calpain II (m-calpain), with different calcium requirements, have been identified. Both are heterodimers composed of L (large, catalytic, 80 kD) and S (small, regulatory, 30 kD) subunits. 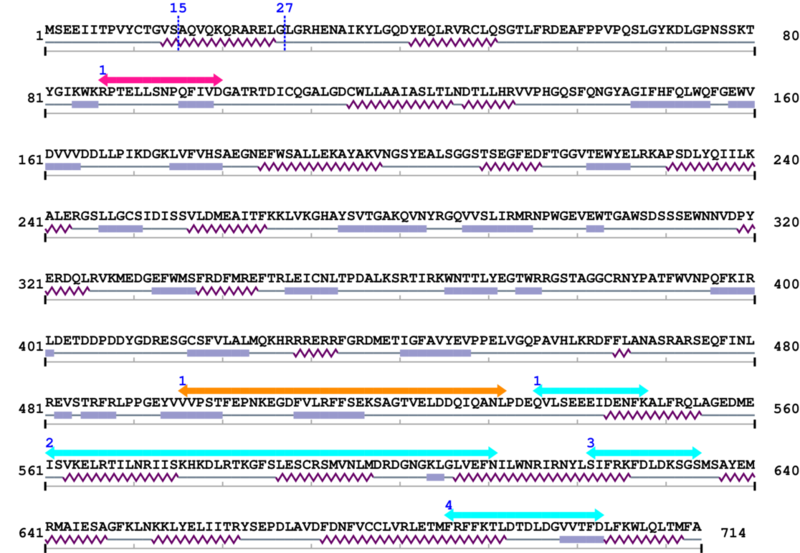 The isozymes share an identical S subunit (CAPNS1; OMIM:114170), with the differences arising from the L subunits, L1 (CAPN1) and L2 (CAPN2; OMIM:114230) (summary by Ohno et al., 1990). Source Reference: [PubMed ID: 2065086] Zimmerman UJ, Schlaepfer WW, Two-stage autolysis of the catalytic subunit initiates activation of calpain I. Biochim Biophys Acta. 1991 Jun 24;1078(2):192-8. [PubMed ID: 24416790] Kim H, Kang AY, Ko AR, Park HC, So I, Park JH, Cheong HI, Hwang YH, Ahn C, Calpain-mediated proteolysis of polycystin-1 C-terminus induces JAK2 and ERK signal alterations. Exp Cell Res. 2014 Jan 1;320(1):62-8. [PubMed ID: 23733271] ... Chen B, Tang J, Guo YS, Li Y, Chen ZN, Jiang JL, Calpains are required for invasive and metastatic potentials of human HCC cells. Cell Biol Int. 2013 Jul;37(7):643-52. doi: 10.1002/cbin.10062. Epub 2013 Apr 23. [PubMed ID: 12843408] ... Goll DE, Thompson VF, Li H, Wei W, Cong J, The calpain system. Physiol Rev. 2003 Jul;83(3):731-801. [PubMed ID: 1656060] ... Banik NL, DeVries GH, Neuberger T, Russell T, Chakrabarti AK, Hogan EL, Calcium-activated neutral proteinase (CANP; calpain) activity in Schwann cells: immunofluorescence localization and compartmentation of mu- and mCANP. J Neurosci Res. 1991 Jul;29(3):346-54. [PubMed ID: 2400579] ... Sorimachi H, Ohmi S, Emori Y, Kawasaki H, Saido TC, Ohno S, Minami Y, Suzuki K, A novel member of the calcium-dependent cysteine protease family. Biol Chem Hoppe Seyler. 1990 May;371 Suppl:171-6. [PubMed ID: 2844821] ... Harris AS, Croall DE, Morrow JS, The calmodulin-binding site in alpha-fodrin is near the calcium-dependent protease-I cleavage site. J Biol Chem. 1988 Oct 25;263(30):15754-61. [PubMed ID: 3017764] ... Aoki K, Imajoh S, Ohno S, Emori Y, Koike M, Kosaki G, Suzuki K, Complete amino acid sequence of the large subunit of the low-Ca2+-requiring form of human Ca2+-activated neutral protease (muCANP) deduced from its cDNA sequence. FEBS Lett. 1986 Sep 15;205(2):313-7.